Preview - ICC Champions Trophy 2017 - New Zealand. New Zealand have a history with the ICC Champions Trophy. The Kiwis won the second edition of the tournament in 2000 (when it was known as the 2000 ICC KnockOut Trophy) under Stephen Fleming. Since then, they reached the semi-final (2006) and final (2009) but lost to Australia both the times by 34 runs and six wickets respectively. The current squad contains a bunch of exuberant names with some experienced campaigners. The versatility of their batsmen consolidates the line-up. A quartet of fast bowlers and a duo of spinners add variety to the bowling division. Under Kane Williamson, the black caps would be looking grab hands on their second title after a long wait of 17 years. Taylor is the most experienced Kiwi player in the squad. 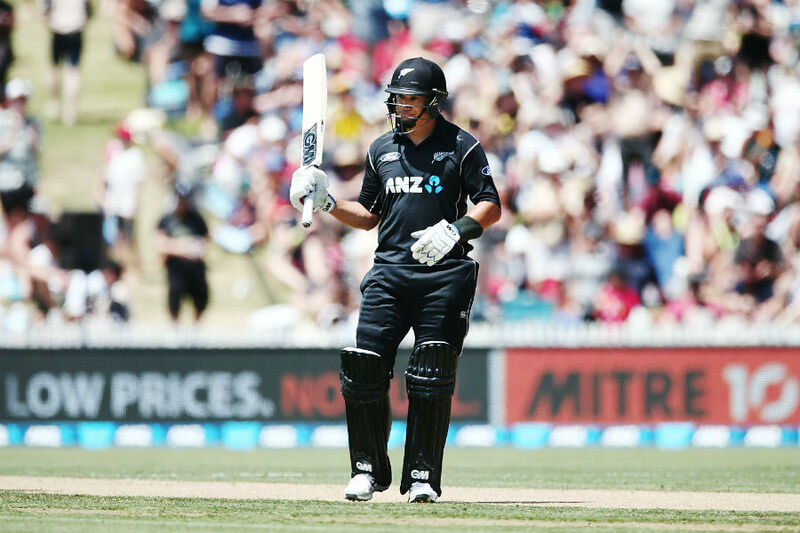 Captaining the side in the absence of Williamson has yielded both results and runs for Latham, for he was New Zealand's highest run-scorer in the recently culminated tri-series in Ireland. 257 runs in four matches at an average of 64.25 and a strike rate of 88.01 earned Latham the form he was looking for quite some time now. To accompany him at the top of the order will be Guptill, who needs no introduction. The best part about New Zealand's opening batsmen is that they compliment each other well. In Williamson and Taylor, New Zealand have two of their top-tier batsmen. Williamson is coming on the back of a successful IPL campaign, where he scored 256 runs in seven matches at an average of 42.66 and a strike rate of 151.47. On the other hand, Taylor scored three half-centuries in four matches during the tri-series in Ireland. Williamson should also make full use of his off-breaks. Another important cog in the wheel for the black caps in the middle-order will be the in-form batsman in Broom. He scored 228 runs in four matches at an average of 57 and a strike rate of 92.68 in the tri-series. Neesham and Ronchi have it in them to launch the big shots towards the end of the innings. Neesham's right-arm medium-pace will also be crucial for the team. Mitchell Santner is likely to be the lone spinner in the playing eleven. His stocks in the team are expected to be on a rise because of his potential with the bat. Boult would want to make early inroads with his bowling. Boult, Southee and McClenaghan form a forbidding a pace attack, especially in the English conditions. With bowling strike rates of 29.9 and 28.4 respectively, Boult and McClenaghan are genuine wicket-takers. Add to it, the prudence of Southee and you will get one of the best bowling line-ups of the tournament. Corey Anderson and Colin de Grandhomme are well-suited for limited-overs cricket in the English conditions. Both of them are expected to get a go as the tourney progresses. Their all-round abilities is what makes them such vital players. On any surface which suits spin, Jeetan Patel will be the first one to get into the playing eleven. Adam Milne has been preferred over Matt Henry in the squad. He would want to justify his selection whenever an opportunity comes his way. 02/06/2017 (Friday) - New Zealand vs Australia at Edgbaston, Birmingham. Photo Credits - ESPN cricinfo. Preview - ICC Champions Trophy 2017 - England. Preview - ICC Champions Trophy 2017 - Bangladesh. Preview - ICC Champions Trophy 2017 - Pakistan. Preview - ICC Champions Trophy 2017 - India. Preview - ICC Champions Trophy 2017 - Sri Lanka. IPL 2017 - 'The Top XI'. Preview - ICC Champions Trophy 2017 - Australia. Preview - Final - RPS vs MI. Review - Eliminator - SRH vs KKR. The numerals of IPL 10.